There’s nothing I love more than hunting for vases to add to my ever-increasing stock of containers. Now that the car boot season is over, it’s back to the comfort of my favourite charity shops. Click the the link below and I’ll share with you some of my latest finds – and some tips on re-purposing containers you’ve probably got lying around at home. Is it too early to ask about your Christmas plans? Eek – yes, I know it is – but if you’re anything like me you’ll need to have a plan so that you don’t feel rushed and flustered in the run up to the festive season. Sit back and relax – I’ve handily set out when my Christmas classes are being held, so you won’t have to spend ages searching for them. Starting on Tuesday 24 November I’ll be teaching an afternoon three-week class where you’ll be able to learn about arranging flowers for Christmas at Deal. This is a Kent Adult Education course – so you’ll need to book and pay for your place direct with KAES. Click the link for more details. I expect you’ll be in the need of a little pick-me-up nearer Christmas. The perfect excuse for enjoying the hospitality at Belmont House and Gardens. 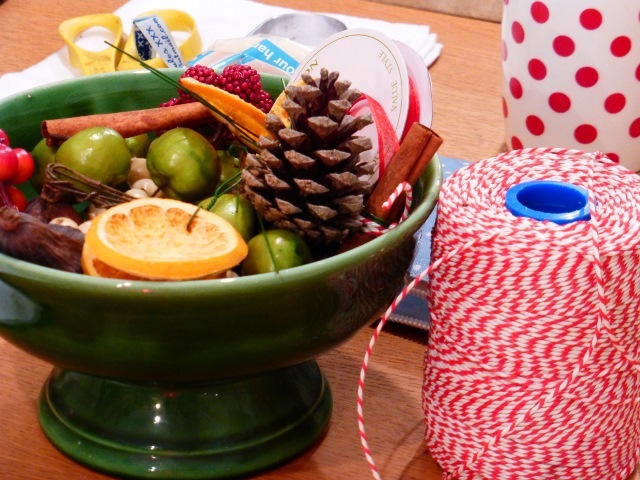 I’ll be teaching at Belmont on Wednesday 16 December – come along and create a contemporary table arrangement. 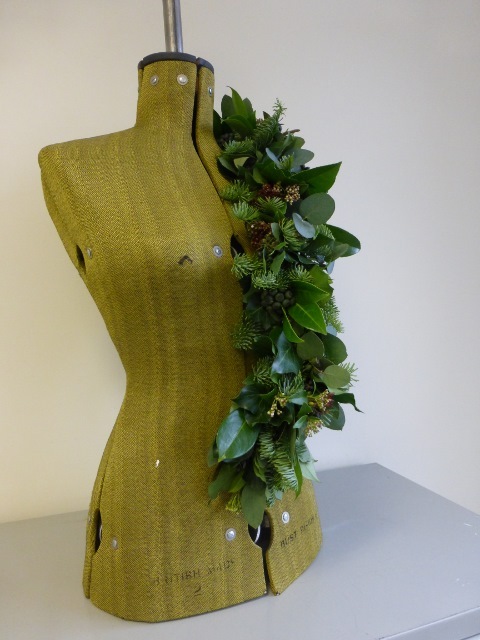 You’d like to make your own door wreath this year, but my workshops are always on the “wrong” day? Problem solved – you can chose a day and time to suit you. 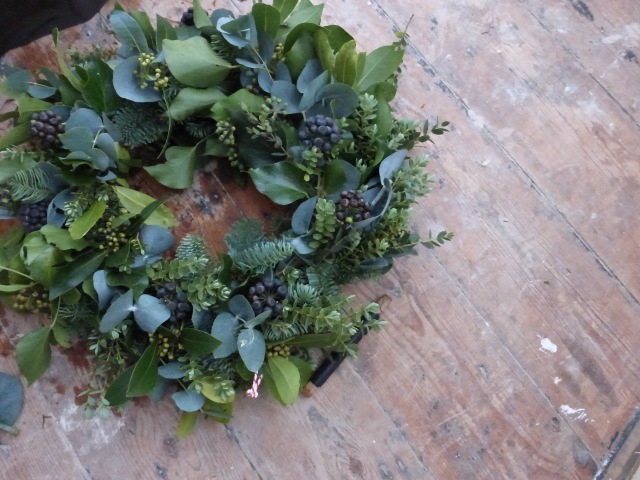 I’ll be teaching at Anna’s Country Flowers on 28 November, 2 December and 3 December – so you can pick a date and time to suit you for one of my Christmas door wreath workshops. Have you signed up to my newsletter? As a thank you I’ll enter you into a competition to win a flower arranging workshop (worth £350) – if you’d like to be in with a chance you’ll need to add your name to my list by midnight Sunday 13 December 2015 (signing up is a two-step process, so don’t forget to complete the subscription process by clicking on the confirmation email you’ll receive). The winner will be picked at random and notified by email by Sunday 20 December 2015. This is the link for the sign up form.